It is about having Tom Cruise as your boyfriend and you are never sure when someone is gonna steal him from you. You need to be at your best all the time. Else there are options all around the world for Mr. Cruise. Not every customer for a Brand would be a Tom Cruise. But it is really important to identify as to who your Tom Cruise is in order to ensure that he is engaged with LOVE and CARE to spend all his MONEY on you. I am giving you 3 super strategies to identify your set of Tom Cruise’s to engage him personally. LOYALTY HYPE CYCLE – Recognize your Loyalists! If we could predict after how many dating’s Tom Cruise would be love of our life, there is nothing better than that, right? 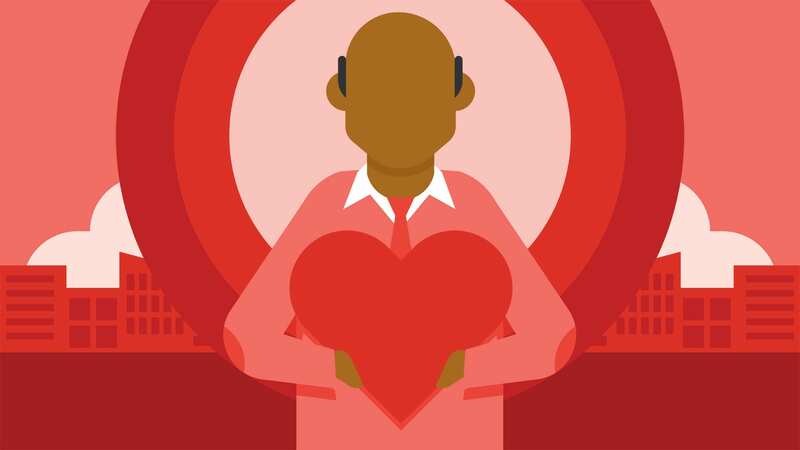 If we could foresee when our customers become loyal to us, we could ensure that we spend more of our marketing budget wisely on our Loyal Customers as well as driving a repeat visit on the potential ones through aggressive marketing. Here is the Loyalty Hype Cycle that helps you recognize your Loyalists!! 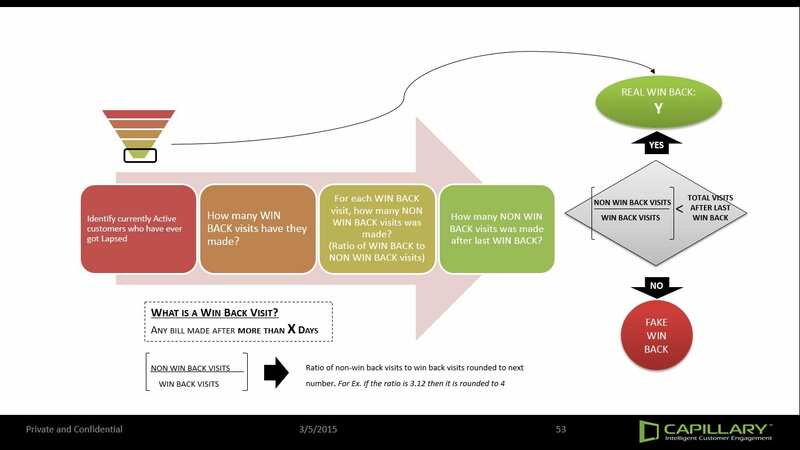 TRUE WINBACKS – Distinguish your genuine Win-backs from the fakers! We are always kept guessing that after a breakup, the patch up that drives reunion is worth it or not. The Tom Cruise whom we lost when returns makes us unsure if he is gonna stay or leave yet again. Should we invest in him?? We as Marketers roll out highly aggressive offers to the lost Loyal Customers to ensure we win them back. The question is, is he genuinely fond of the brand and should we delight him or should we gratify offering discounts to drive a repeat visit. Here is methodology that can distinguish your genuine ones from the fakes!! The above figure illustrates the Lapsation cut X. In marketing terms, the number of days a customer is provided to make another transaction to avoid inactivity. This can be arrived by finding out the days within which a min of 80% of your transactions instances happen. Z is the Overall Win Back Customers and Y is the Genuine Win-back customers, your Tom Cruise Prospects!! Go and Win back your lost stars. 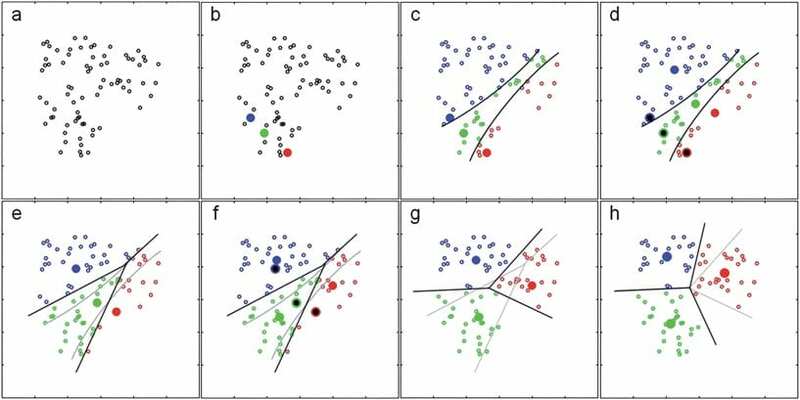 HYBRID CLUSTERING – Don’t just group them, group them right! Clustering happens the time we develop into a fetus, boy or girl up till identifying our Tom Cruise or not. We tend to classify our Tom Cruise only basis his looks, his likes/dislikes, the money he has, where he is from, his capacity to spend. Is this enough for building Loyalty? No, we need to figure out how he reacts to circumstances, the changing moods. This would give a holistic approach to classify him as the Tom Cruise of our life or not. 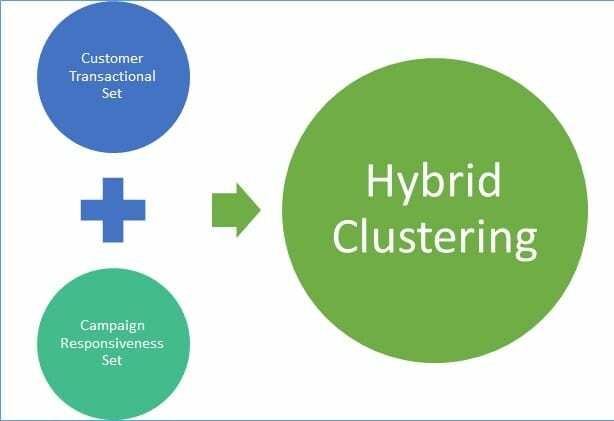 Hybrid clustering is an amalgamation of Transactional Clustering and Campaign Responsiveness. 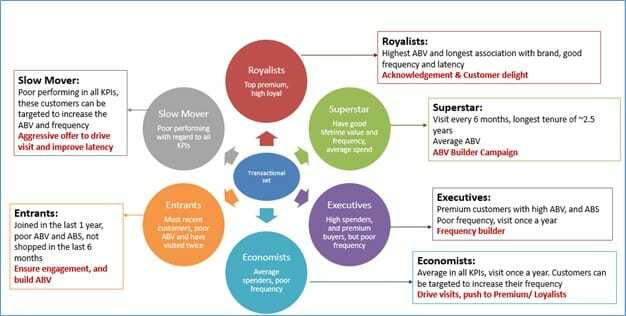 We build two different set of clusters and try to pick the Highly Loyal cluster in the transactional set as well as the Campaign Responsiveness set. Here is the 5 step technique that help you group your Loyalists right!! 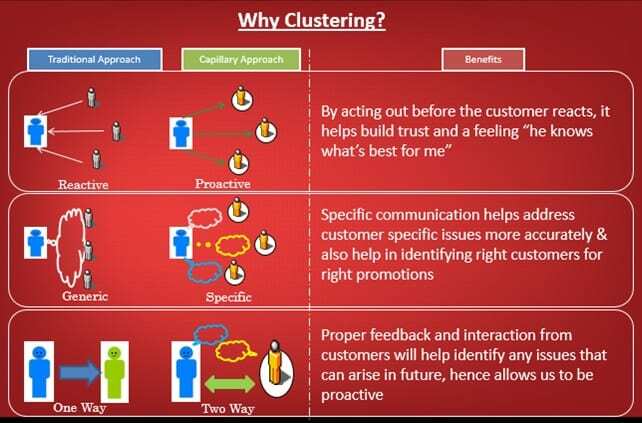 Clustering is the classification of objects into different groups, or more precisely, the partitioning of a data set into subsets (clusters), so that the data in each subset (ideally) share some common trait – often according to some defined distance measure. We have used K-Means clustering technique, effective & popular technique used for unsupervised learnings. The k-means algorithm is an algorithm to cluster n objects based on attributes into k partitions, where k < n. It uses cluster centers to model the data. It tries to minimize variation within a group & maximize variation across the groups. 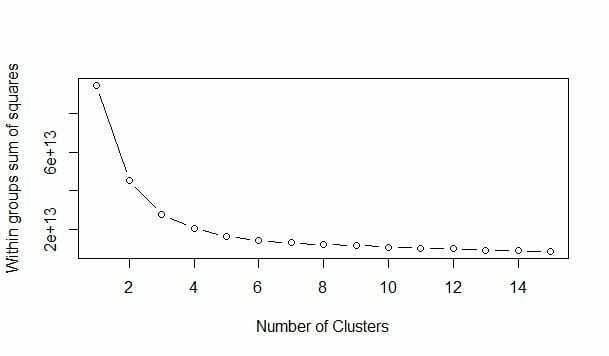 How to define the number of clusters? We plotted the variation within the cluster against the number of clusters. Higher the clusters, smaller the variation among the groups. We identify the optimum level of clusters by Elbow method. We have picked 4 clusters (illustration purpose only) as the change in variation within a group stagnates after that. What is the Process that one needs to follow? 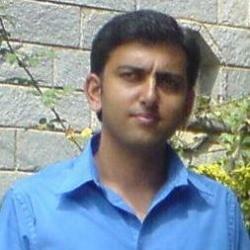 Navneeth is the Head of Analytics at Arvind Internet Limited - Division of Arvind Limited. He is responsible for leading the Data Science, Omni Channel Experience, Digital Transformation, Analytics, Business Intelligence and Product Management initiatives. He developed strategies for a Center of Excellence for BI and Data Science across both Retail and Online businesses to drive revenue from the existing customer base as well identifying future potential acquisitions using Digital Marketing. Why Startups need to adopt analytics too?